If the Middle East had a classic French-style mother sauce, it would definitely be tahini. It can be made thick, as a dip for pita bread and vegetables, or thin to use as a sauce or dressing. The base is just ground up sesame seeds, sometimes toasted first, and comes in a jar labeled sesame paste. The quintessential application is as a sauce to drizzle over falafel sandwiches, but it's so much more. This surprisingly versatile condiment can be used in everything from savory dishes to sweet baked goods. Add it to hummus, use it as a salad dressing, pour it over any vegetable -cooked or raw- and use it as a sauce for grilled meats, shawarma and sabich sandwiches. Furthermore, you can add ingredients to the basic sauce to make it richer, spicier, hotter, sweeter or more savory. Below are ten delicious, and sometimes surprising, ways to get creative with your tahini sauce. 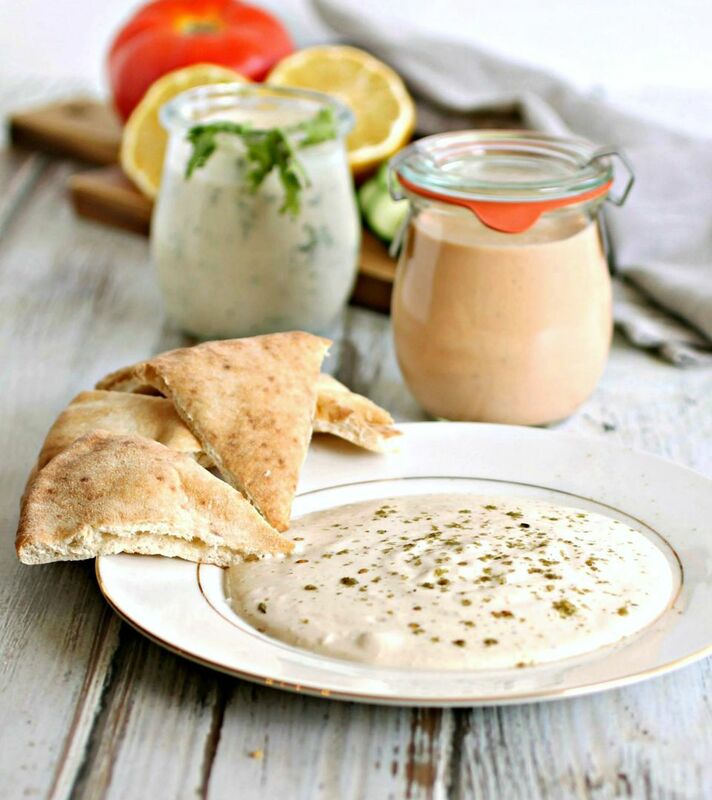 The basic tahini sauce is usually equal parts sesame paste and water, with the addition of garlic, lemon juice, salt, and pepper. It's easy to make and goes well with almost everything. We consider it a staple to have around at all times! Green Goddess Dressing, normally packed with sour cream and mayonnaise, is wonderfully creamy and herbaceous by itself. But this tahini-based version takes it to the next level. Not only is it delicious, but it's also egg-free, dairy-free and fully vegan! We recommend adding a bit of grated ginger if you're looking for more of a kick. You can try it on coleslaw -instead of using mayonnaise-, dress plain steamed vegetables with it, or put it on leftover pasta to make cold pasta salads. You can even use it instead of ranch dressing, as a dip for carrot sticks and cucumbers! Heartier, cold weather salads need heartier dressings. Particularly when they include roasted vegetables, which pair great with both tahini and maple syrup, respectively. So why not combine the two? The slightly bitter sesame flavor is perfectly balanced out with a touch of maple syrup, for a perfect topping to roasted squash and strong greens, like spinach and kale. Beets are nutrition powerhouses that are high in folate, potassium, fiber, magnesium and vitamin C. Best of all, they're delicious when roasted to bring out their natural sweetness and tone down their earthiness. Blended with the nutty taste of sesame tahini they add great flavor and a giant boost of nutrition. Serve with pita chips or chunks of warm pita bread for dipping and drizzling over an array of cut vegetables for a super healthy snack or appetizer platter. 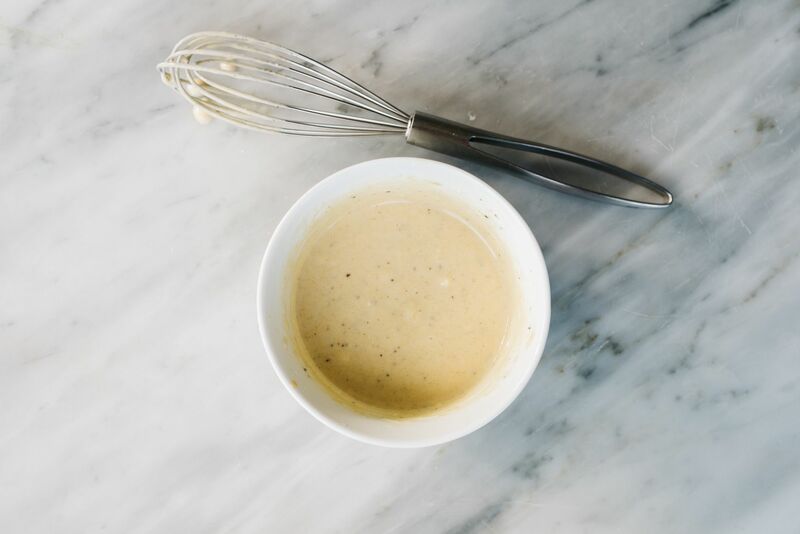 If you're obsessed with Caesar dressing, and all it's possible variations, then this Tahini Caper Dressing will make a nice addition to your recipes. Whether you're making a salad or grilling up chicken tenders, this recipe is a great alternative to the traditional Caesar dressing. Roasting tomatoes brings out their natural sweetness, while still keeping their savory vegetable taste. Pureeing them into the nutty flavor of plain tahini gives the sauce a rich, warm flavor. A perfect addition to homemade pasta! Adding yogurt into tahini adds a rich, creamy texture while still maintaining the nutty sesame flavor. Balance it out with a little extra lemon juice to boost the tang and you have an ideal sauce for lamb, meatballs, salads, rice pilafs and, of course, falafel. If you love the combination of sweet and savory flavors together, then try adding honey to your tahini sauce. These tzimmes were roasted with leeks, garlic and a honey tahini drizzle that added wonderful sweet and savory balance. If you've only ever had jarred caramel sauce or ice cream toppings, you might not appreciate how much richness and depth of flavor it can have apart from all the sugar. But once you've tried making your own, chances are you'll be completely hooked and start looking around for variations on the recipe to experiment with. Nut and seed butters go great with caramel, and sesame is no exception. In fact, adding tahini to the caramel results in almost a halva. Basically, rich, creamy, golden liquid candy that you'll want to pour on everything. Try it over ice cream or a slice of your favorite chocolate cake!